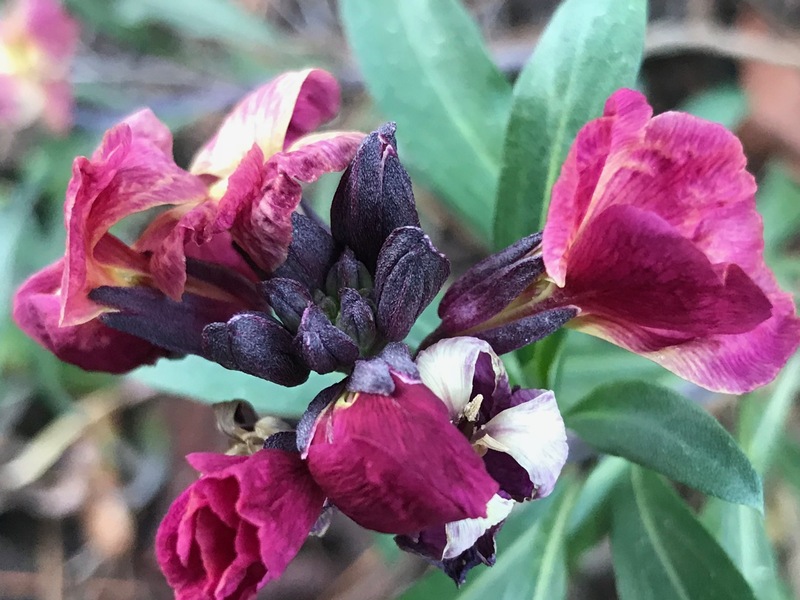 This entry was posted in garden and tagged Erysimum 'Sugar Rush Primrose', Erysimum 'Sugar Rush Purple', wordless wednesday on December 27, 2017 by pbmgarden. Such a clear yellow on that first one – very pretty! Eliza, I spotted that yellow from inside the house and it drew me out into the garden the other day despite the cold. Was glad to catch these in bloom. I love these! And I still haven’t seen them for sale here. Hope you might find them sometime Kris. They’re surviving even our 15 degree weather the other day. 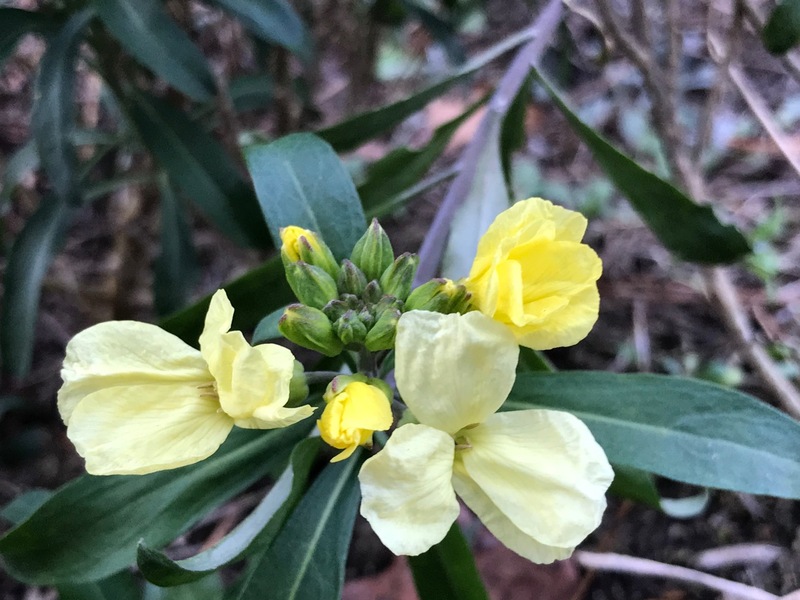 How wonderful to have wallflowers bloom in December. Unexpected treat to have the wallflowers. They didn’t do much last year (first year) so I am pleasantly impressed this year. They do remind one of berries and lemon meringue a bit!